‘This is the story of Damian Garcia, and the international drug trade in opium and hashish, by PhD graduate students in New York City, circa 1972. It is about love, friendship, family, loyalty, and an extremely discreet and very lucrative international drug smuggling business plan, with the financial returns totalling in the many millions of dollars. The business plan was a new combination of opium and hashish product, the family branded as O/H. The targeted demographics were graduate students, nurses, doctors, accountants and attorneys. O/H became the professionals’ drug of choice worldwide. O/H grew to become the largest and most profitable international drug smuggling enterprise unknown to all but a few. Those that knew would never tell; that was the family code. 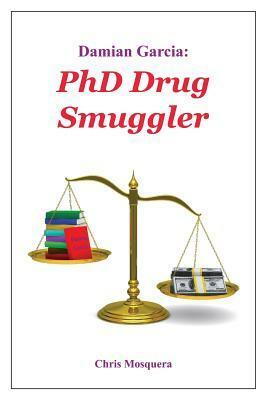 Damian Garcia: PhD Drug Smuggler by Chris Mosquera features five PhD students in the year 1972 – Damian Garcia, Vash Gupta, Roger Rajiv, Howard Pavel, Maurgerite Nguyen and Lori Wilson, living together as a family in a dilapidated apartment desperately lacking funds. Suddenly, an idea strikes them – mixing opium and hashish into a single product and make quick money. This story is mainly about how they develop this business model which has the potential of dealing in millions and unlike traditional drug dealers, these five friends are intelligent students specialising in a particular field who don’t want to have anything to with ‘gangster stuff’. What I liked about this book was the fact that highly educated people were in this business with each of them knowing what exactly they were talking about. The pace is also something to be appreciated as it got into the crux of the story within the first five pages. The characters were built well – bringing out how each of them value friendship and relationship and are willing to do anything to preserve that. I liked the diverse nature of characters in the book – with characters from India, Tunisia, Italy, Soviet Union, Canada and Puerto Rico and how Damian intelligently exploits for his drug business. The book is also well researched, considering that it involves facts about various countries, their culture, etc. People who enjoy reading about business models would like this book and since I fall under this category, doubtless, I had a good experience, and managed to finish the book fairly early, with respect to my standards (of being a slow reader). On the other side, I also felt that the group of friends had a very weak opposition, just the law and thus, managed to get on with what they wanted to do. Moreover, despite the name of the novel, till around page 150, it seemed as though, Vash Gupta was the most important character which is for more than half the novel. And Damian’s repeated use of ’360 degree view’ in nearly every sentence of his could be annoying for some readers. Historical fiction being one of my favourite genres, I’d have liked it better if the time of the novel (1972) had a greater relevance. On the whole, I’d say that this is a good read – could satisfy many readers as it involves multiple elements: family, friendship, relationship, love, travel and business. I believe the author is planning a sequel which justifies the rather abrupt end of this novel and that is something I’d look forward to read. Weighing the pros and cons, to conclude, I’d award this book a rating of seven.